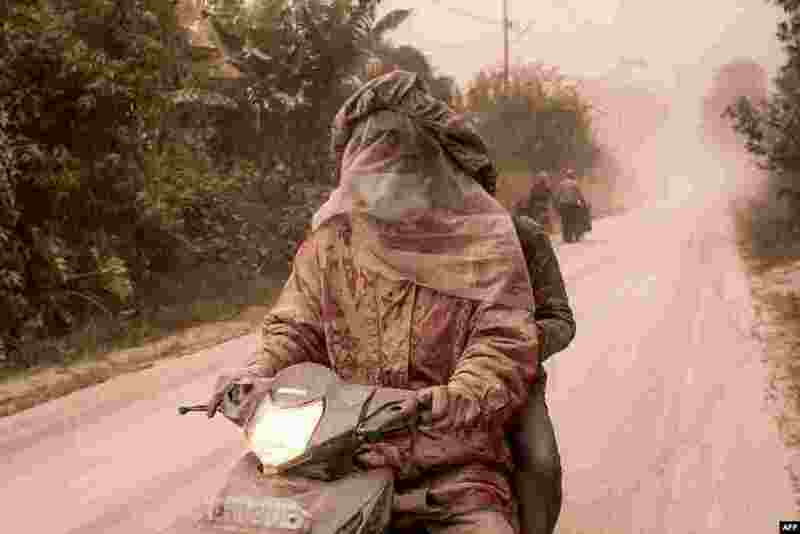 1 Motorists cover their faces as thick ashes blanket Tiga Pancur village in Karo, North Sumatra, Indonesia, after the Mount Sinabung volcano erupted. 2 Britain's Prince Philip, in his role as Captain General, Royal Marines, attends a parade marking the finale of the 1664 Global Challenge, on the Buckingham Palace Forecourt, in London. 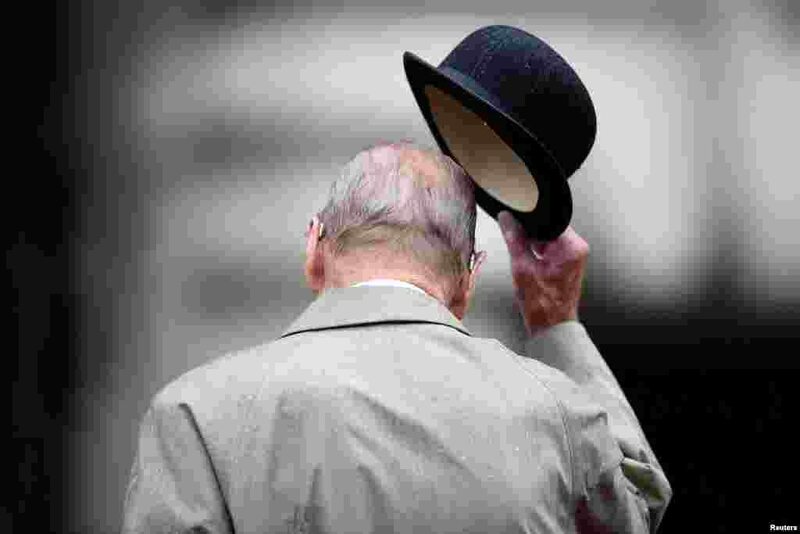 The 96-year-old husband of Britain's Queen Elizabeth made his final solo appearance at the official engagement, before retiring from active public life. 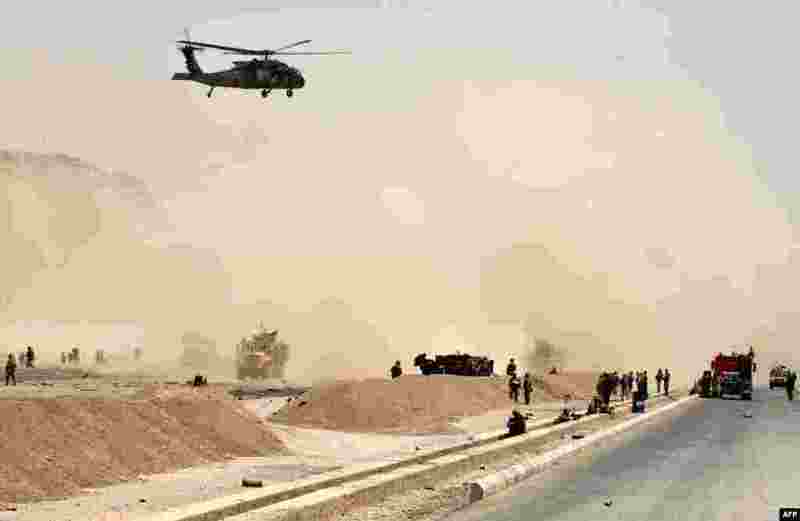 3 A U.S. Black Hawk helicopter flies over the site of a Taliban attack in Kandahar, Afghanistan. A suicide bomber rammed a vehicle filled with explosives into a convoy of foreign forces in the country's restive southern province, causing casualties, officials said. 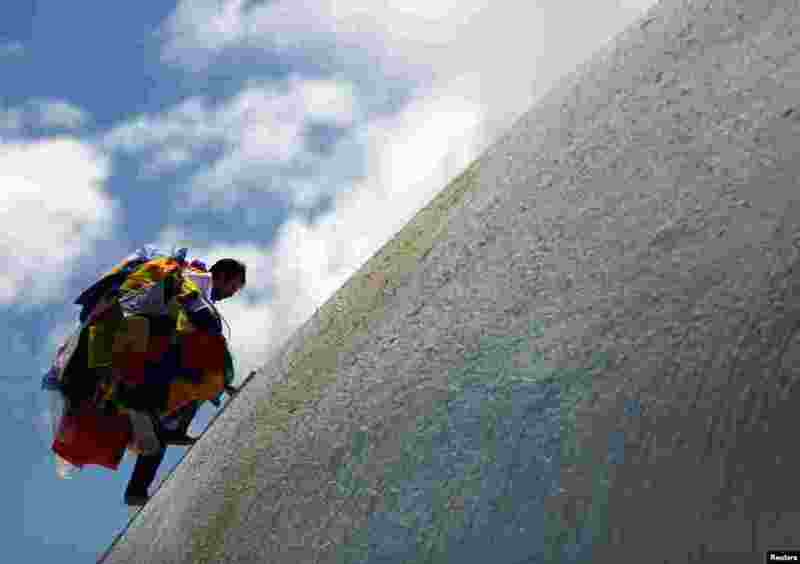 4 A man carrying prayer flags offered by devotees climbs to hang them along the Boudhanath Stupa, a UNESCO world heritage site famous among tourists, in Kathmandu, Nepal.